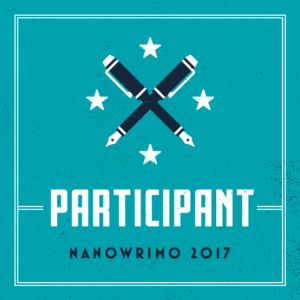 It’s that time of year where National Novel Writing Month, or NaNoWriMo, is about to start. This will be my eleventh time to join, but it’s going to be a little different. I’m writing my novel for charity. 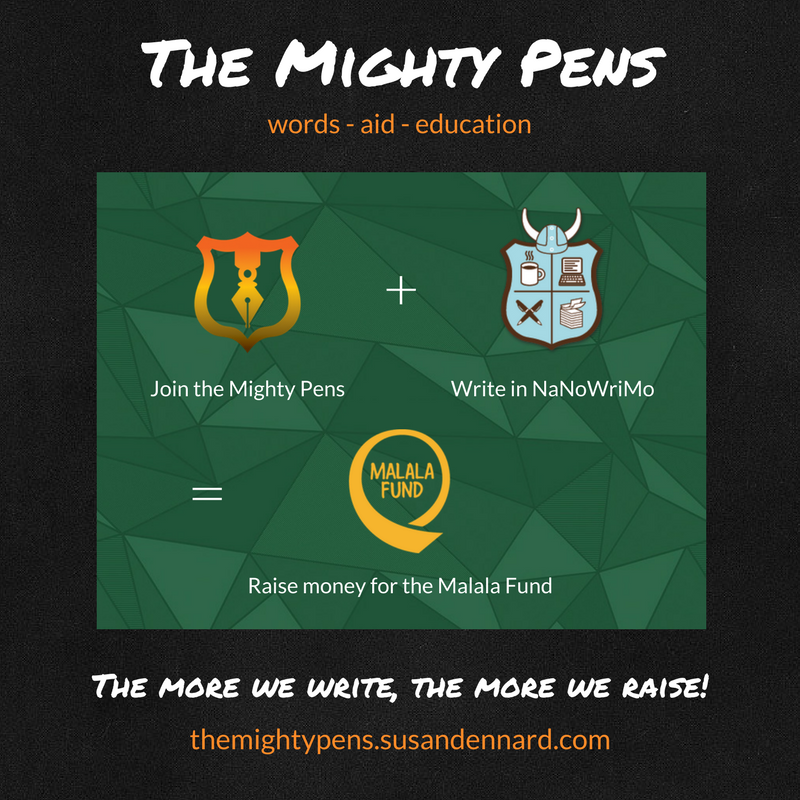 I’ve joined up with an amazing group of writers called The Mighty Pens. Together, we’re working to raise money for girls’ education around the world through the Malala Fund. I’m really excited because I think education is really important to help the world improve and it’s wrong that many girls don’t have access to it. Malala Yousafzai is an inspirational young woman who works really hard to help girls get the education they deserve, and I want to help her. Writing is what I do, so that’s what I’m using–and without education, I wouldn’t be a reader or a writer. Don’t worry, this won’t take away my focus from writing–it’s actually really simple. It’s like a charity walk, except instead of walking miles, I’ll be writing words. You can pledge to donate money based on the number of words that I write. For example, pledge $2 for every 10,000 words. If I reach my goal of 50,000 words by November 30, you would donate $10. Or you can just donate $10 at the start of November to show your support! Whatever you can give will be appreciated. I think the minimum donation might be $5, but check the fundraiser to be sure. This money doesn’t go to me, you donate straight to the Malala Fund. You can use my donation link or donate to the fundraiser and mention my name. Then track my progress on my NaNo page or watch for updates here. And make sure to let me know, because I’ll give a shoutout to everyone who donates AND send you a free copy of my novel when it’s finished! Important: The Mighty Pens has asked for you not to submit donations until November 1, because they want to track everyone on the team and they want us to start at the same time. Riwenne is an enthusiastic girl who dreams of being a priestess to serve the gods. 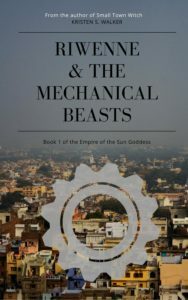 When she discovers that the gods themselves are threatened by a new kind of power, she must become a sacred warrior and gather her friends to save everything she believes in. Sound like fun? I hope so! Stay tuned for more updates when November starts and those words come rolling in!